Have we ever thought as to what could be the biggest challenge for any progressive economy in this 21st century? Of course, it is about offering a vision of a green energy system and then convincing the society at large about the philosophy. 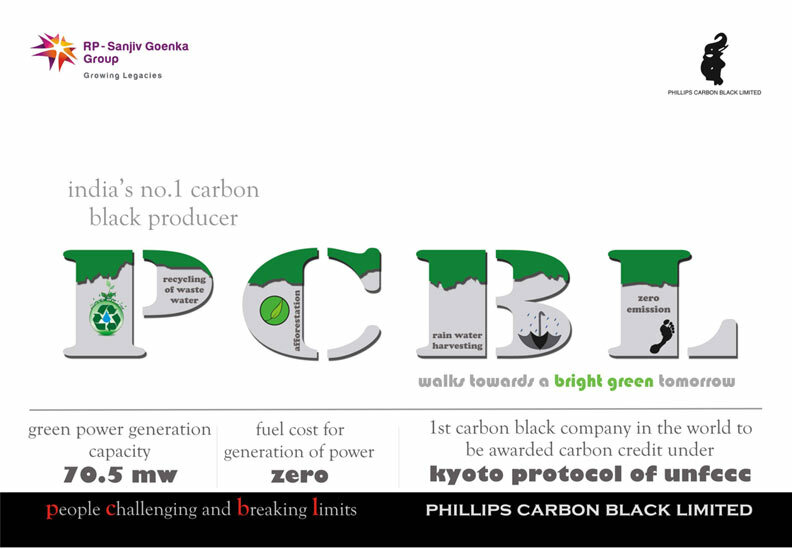 Like any other Green company in the world, Phillips Carbon Black Ltd. (PCBL) leaves no stone unturned in preserving and enriching the environment while being a pioneer in the production of carbon black in the country! The Company enthusiastically lays emphasis on development in the areas like health, hygiene and education, along with environment, which has gained momentum for the Company with the passage of time. Environmentalism leads to cost-cutting and revenue generation for companies. PCBL is the first company in the world to have its power plant at Palej manufacturing facility, registered as a Clean Development Mechanism project (CDM) under UNFCCC. The significant amount of flue gases emitted as a waste byproduct of carbon black manufacturing process, can be well used for the generation of electricity at zero costs. The energy generated from the plants meets captive requirements, thereby leading to revenue generation for the organization. 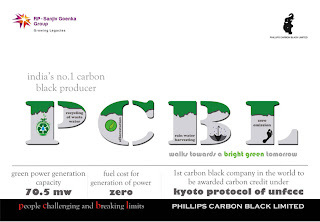 PCBL, the first carbon black company in the world to be awarded carbon credit under Kyoto Protocol of United Nations Framework for Climate Change Convention (UNFCCC), has a power generation capacity of 70.5 MW and aims towards adding another 70 MW of capacity through 2015. The PCBL family is well adapted to the requirements of the communities where the Company’s manufacturing set-ups are located and takes initiatives to ensure that the employees align themselves to the needs of preserving the environment. These involve interactions between PCBL and the community representatives in terms of contribution to environmental, social and economic development; Afforestation, rain water harvesting, recycling of waste, treatment of waste water, zero emission and spillage policy. 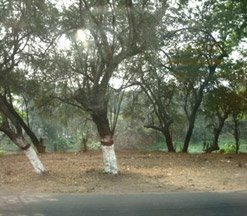 PCBL’s Mundra plant concentrates on Afforestation, while Cochin manufacturing facility is located in a forested area with lush green vegetation all around. The Company has also planted more than 5000 saplings at various locations, across the nation. PCBL has installed specialized equipments like secondary filters at all plants to ensure zero carbon emission. Despite being located close to thickly populated towns, the Company’s plants hardly receives complaints from the inhabitants. Treatment plants for recycling waste matter are an integral part of PCBL manufacturing facilities! Effluent Treatment Plants or ETPs are used to treat waste water and then recycle it back into the system, thereby leading to zero discharge policy at its all manufacturing set-ups. It is an environment-friendly initiative which results in the reduction of water usage costs. The Company has also embraced a programme of rainwater harvesting. PCBL, the eighth largest carbon black manufacturer in the world, currently aims to reach the bracket of the top three global producers of carbon black in some time from now. Known for its world class technology and state-of-the-art manufacturing facilities, PCBL’s own R&D centre is government recognised, and is constantly focused on process efficiencies and new product development. The Company deals with efficient, low cost and environment-friendly operations to produce 4,10,000 MT; and has been continuously reinventing itself in order to make the best in class products for its customers like Bridgestone, Goodyear, Sumitomo Tyres, Kumho Tyres, MRF, CEAT, Apollo, Birla Tyres and J K Tyres etc. PCBL’s after sales service and strong technical support ensures a fiercely loyal base of customers around the world and at the same time the Company does not forget to give back to the environment as much as it receives from it, as it walks towards a BRIGHT GREEN tomorrow! There is a chance you are eligible for a new government sponsored solar program.